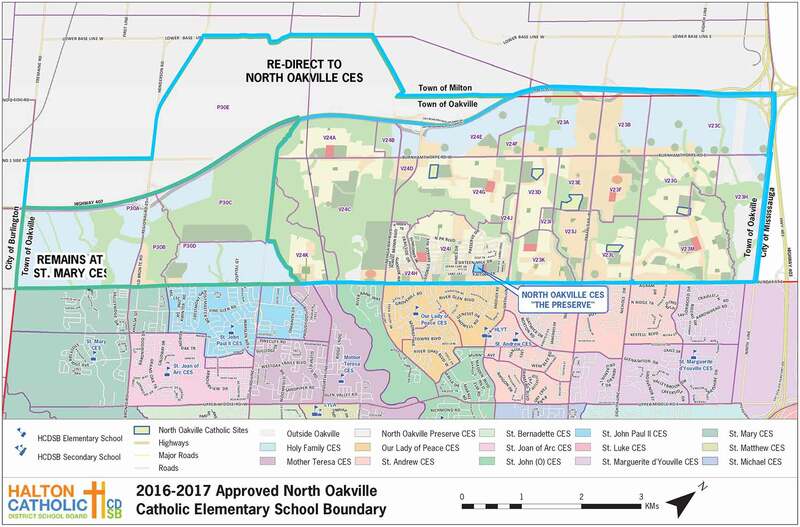 Our newest school serving the North Oakville Preserve community, St. Gregory the Great Catholic Elementary School opened its doors to students in September, 2016! Designed by Snyder Architects Inc., St. Gregory the Great is located at 138 Sixteen Mile Drive, north of Dundas Street West and just east of Preserve Road. 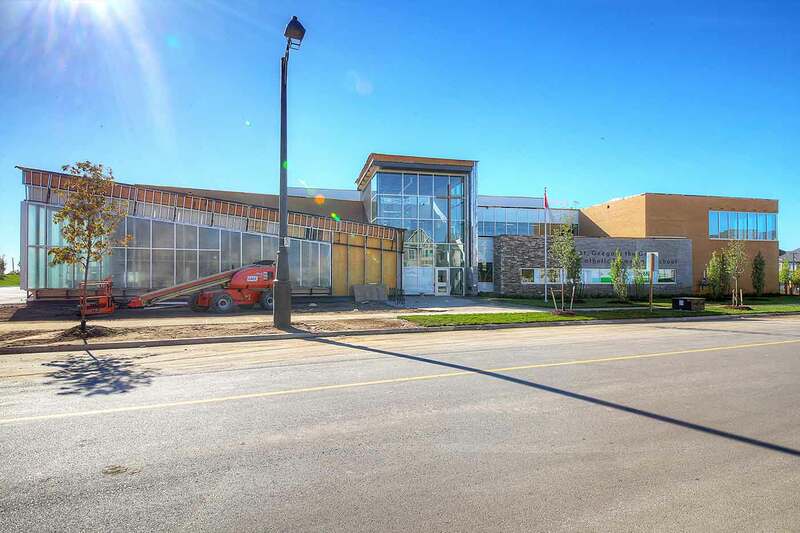 This new school is designed to accommodate a building program for 671 students, and is a two story facility with a total gross floor area of 6,500 square metres (70,000 square feet), situated on a 2.40 ha. (5.93 acres) site. 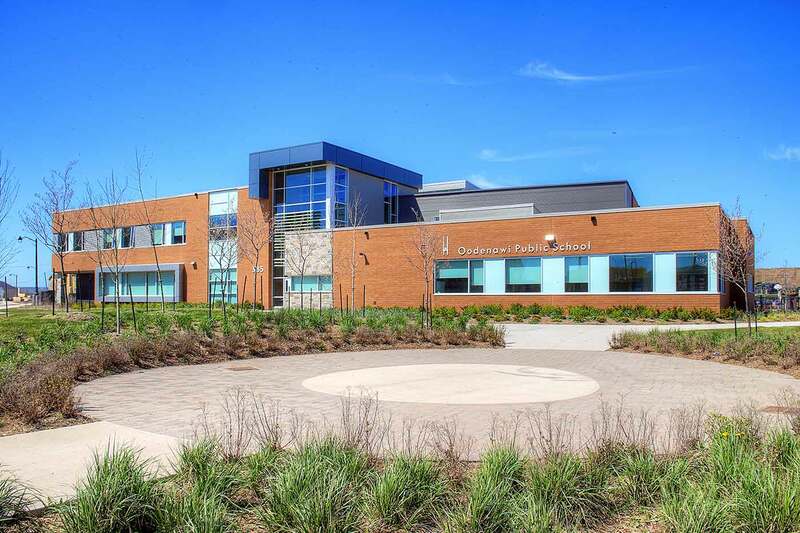 Connected to the school near the Kindergarten classrooms is a one story child care centre with a gross floor area of approximately 800 square metres (8,600 square feet). Parents are welcome to register their children to attend St. Gregory the Great Catholic Elementary School in September. Office hours are from 9:15 a.m. to 3:45 p.m., Monday to Friday. The Right to Play philosophy to “Take care of yourself, take care of others”, is alive at Oodenawi. Student leaders are out on our playground offering games and activities to engage our younger students. Right to play is an excellent vehicle for student leadership as well as student voice. Our leaders along with the younger students are choosing the cooperative games. We continue to support our students by offering leadership training. The Halton Child Care Directory and Information Line (CCDIL) provides parents with free, personalized assistance in choosing child care. Visit www.thrc.ca or call us at 905-875-0235 if you wish to speak to our qualified consultants about how to choose quality child care that meets the needs of your family and receive a customized list of child care options in Halton. The school has north and south campuses, across the road from each other. The north campus was formerly known as General Wolfe High School, and used to be attended by students who had different levels and types of learning capabilities than those of the south campus. The school now acts as a whole, and students can take classes at North or South campus – the old division between the schools is gone. The north campus offers hands-on technical programs such as hairdressing, child care, autobody and carpentry, as well as classes for students with a wide range of disabilities, and English Language Learner programs (ELL), and is the location for recognized Ontario Youth Apprenticeship Programs (OYAP) and the Ford Academy of Manufacturing Sciences (FAMS). White Oaks also offers French at the immersion level, and offers the International Baccalaureate Diploma programme. 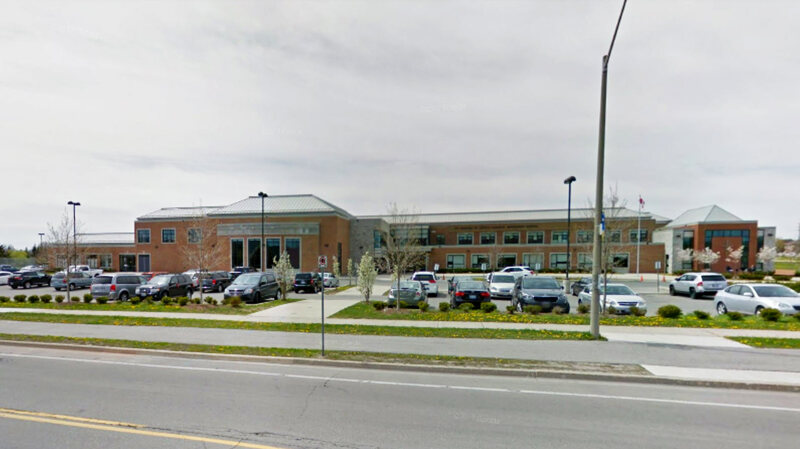 In the Fraser Institute’s report on Ontario schools for the 2012-2013 year, the school was ranked 39 out of 740 secondary schools with an overall rating of 8.3/10. 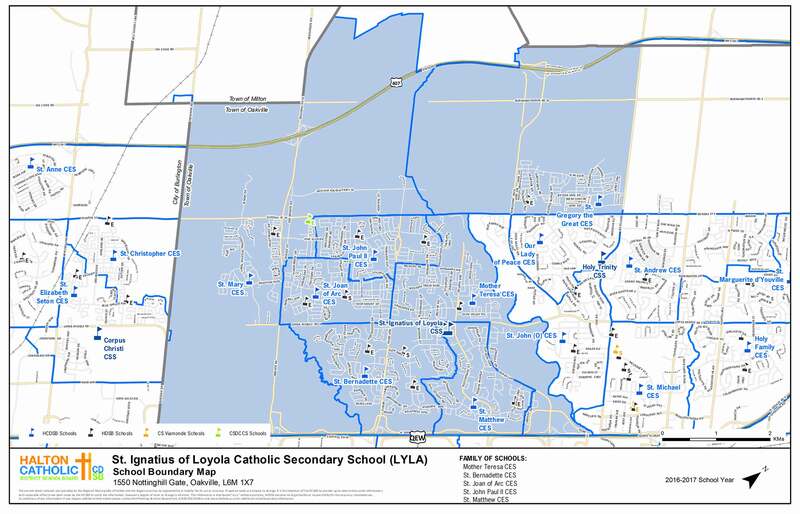 St. Ignatius of Loyola Catholic Secondary School is a separate school in Oakville, Ontario. The school teaches curriculum based on the Catholic faith, and has close ties with the Diocese of Hamilton and the local church, St. Matthew’s Parish. The school has an academic staff numbering over 90. Loyola has one of the best technology programs in the region, with students from other schools (both separate and public) participating in technology programs offered by the school. 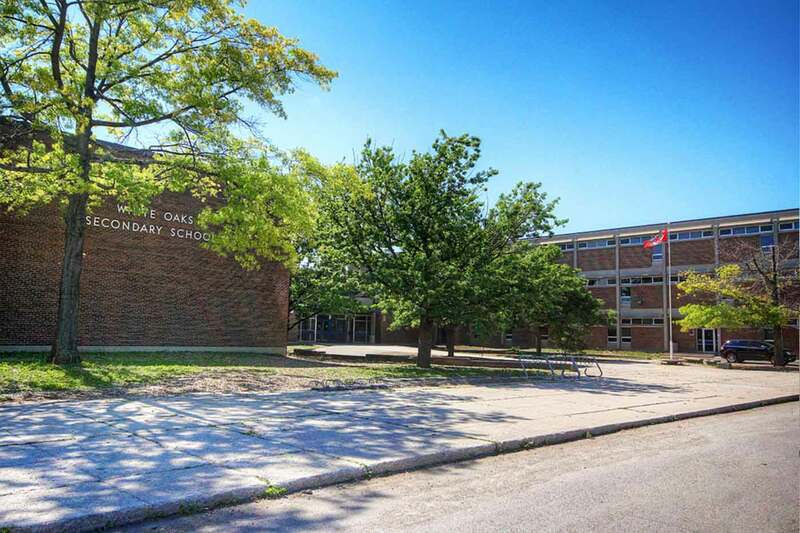 The school also has a strong English program, with 92% of students in grade ten in 2008 passing the OSSLT (Ontario Secondary Student Literacy Test). Loyola has the highest literacy rate in all of Ontario, Canada.